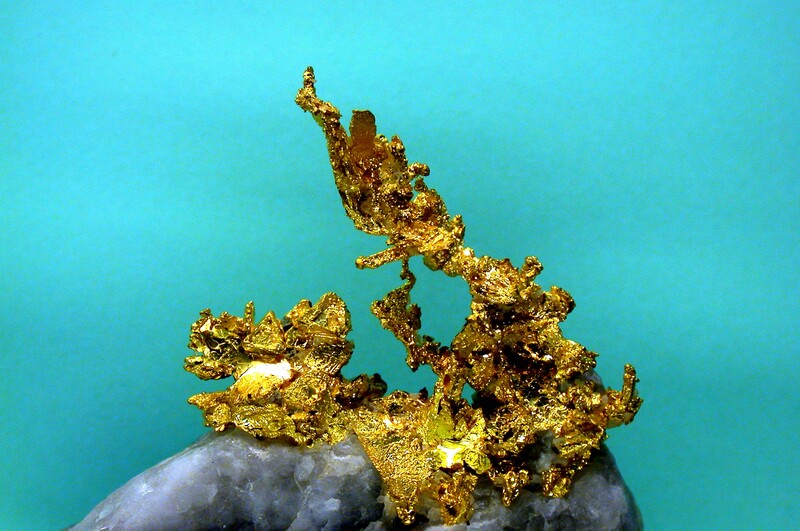 As we have seen before, the gold can be formed by several ways, now let´s keep looking for more theories and some facts about gold formation. “Worth its weight in gold,” “a pot of gold,” “silence is golden.” These common expressions reinforce the unique and important role that gold plays in our lives. From the childhood fairy tale of that rascal Rumpelstilskin, who had the power to spin straw into gold, to the adult world of finance and the gold standard, gold is seen as a symbol of great value. So, from where does this King of Metals come? All of our possessions can be traced back to natural materials found on Earth. Gold is a chemical element (chemical symbol Au for the Latin word for gold, aurum) that occurs widely in nature, but usually only in small amounts in any given area. Sprinkled through rocks and water in tiny quantities, it’s very difficult to gather gold in useful amounts. But, there is a natural process involving chlorine that concentrates gold under volcanoes and forms deposits that are worth the expense of mining. 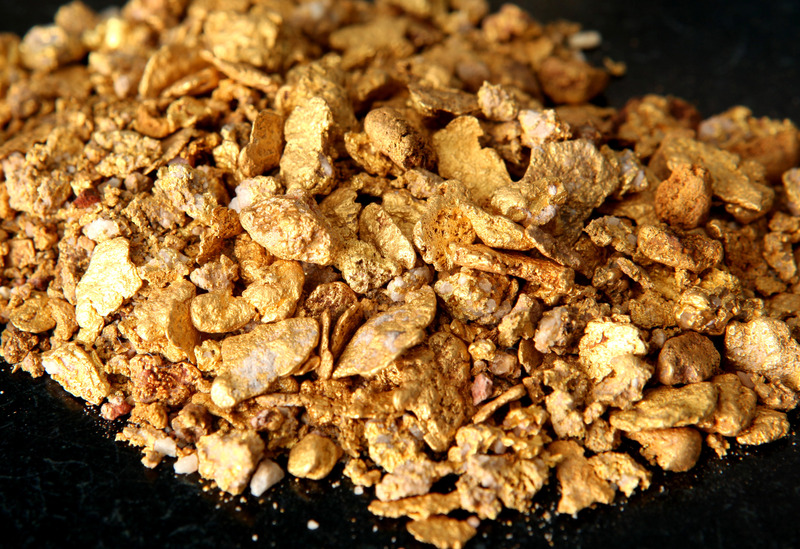 The compounds gold chloride (AuCl) and hydrogen gold chloride (HAuCl2) play important natural roles in making gold accessible to us. Volcanoes can be thought of as places on Earth where melted rock from deep underground has squeezed out upon the surface and mounded up, forming volcanic mountains. 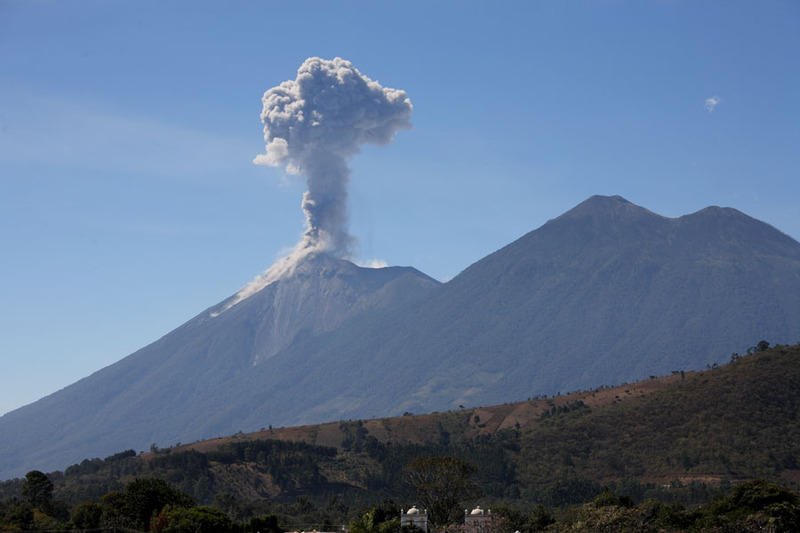 The Hawaiian Islands and Volcano de Fuego in Guatemala are two types of volcanic mountains. Geologists, scientists who study Earth processes, use the term magma for melted rock below the Earth’s surface. A large body of underground magma is called a magma chamber. Once magma is squeezed out of a volcano it gets a new name: lava. Magma chambers are very hot-with temperatures of around 800 degrees C (1,472 degrees F) or greater-and chemically active environments. When a volcano erupts, there is a great release of pressure in the magma chamber, similar to what happens when you open a bottle of soda pop. As soon as the lid comes off the bottle, there is a quick release of carbon dioxide gas. In the case of volcanoes, the gases released include steam, carbon dioxide, sulfur dioxide, hydrogen, hydrochloric acid and hydrogen sulfide. Chlorine and gold from the magma combine to form compounds such as hydrogen gold chloride (HAuCl2). These compounds are drawn out of the magma chamber dissolved in superheated steam and Deposited in Fracture. The superheated steam carrying dissolved gold chloride compounds (and many other types of compounds, for that matter) forces its way out of the magma chamber and then through fractures in surrounding rocks. As it travels away from the magma chamber, the steam cools and eventually a chemical reaction occurs that releases gold from its “chemical partners,” chlorine and hydrogen. Note that as gold is deposited in rock fractures, hydrochloric acid and oxygen are also produced. These gases chemically wear down the surrounding rock. Geologists call this wearing down process by superheated steam and other gases from magma chambers hydrothermal alteration (hydro = water; thermal = heated). The current theory on Gold formation (well, really any metal formation) is that super heated water carry the metals in solution. The water flows below ground through fissures and into areas less hot so that the solution cools. When it cools, the metal (in this case gold) precipitates out of solution and covers the wall of the fissure or grains of rock within the area through which the water is flowing. 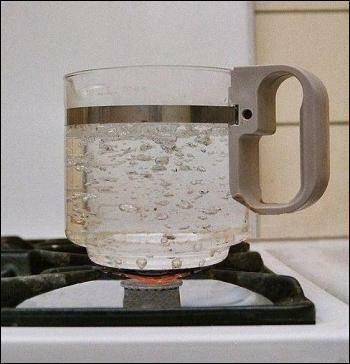 How does the water get hot? It either flows through a region that is close to a magma chamber (melted rock) or it comes out of the magma itself. How did it get in the magma? Extreme pressure at great depth can keep water, it’s in its molecular form, suspended in the magma. If the magma flows to a region of less pressure and/or temperature the molecular water can “leak” out of the magma. How does the gold get into the water? Well, that’s only conjecture. It was probably carried in the magma itself in molecular form and then, as the water left it carried the gold out. Or the superheated water flowed through a rock body that already contained gold. As it flowed through it dissolved the gold, VERY hot water can do that, and then deposited it somewhere else. You asked how it can form in “such large quantities”. The answer is deceptively simple. It forms because the conditions are right for it to form. Other “harder” minerals can also form with gold, but if you find them it is possible that they were deposited at a different time, or the conditions favored the formation of both. Unfortunately there isn’t always a good answer in science. The formation of metallic minerals is not completely understood at this time. We have a pretty good handle on the subject but there are still things that remain elusive.